With all the pollen in the air, we don’t have to tell you that spring has officially arrived. But we have something that might help you get through all the sneezing. We've compiled our reporting, snooped around a bit, and asked those in the know to compile the complete list of every anticipated restaurant debuting in the coming months. From new patios to a plethora of pizza, these upcoming Austin eateries are sure to be the most talked about of the season. Start building your bucket list now. The cult Neapolitan pizza trailer from Clint Elmore makes a comeback as a new brick-and-mortar at 900 W. 10th St., the flood-prone former location of Bacon and a short lived iteration of El Chile Group’s El Sapo. The menu will still focus on creative pies topped with kale, mushrooms and herbs, roasted eggplant, and coppa and hot honey, along with house made mozzarella and sausage. Signs point to an opening within the next few weeks. On April 5, the restaurant announced that it was hiring. By the end of April, local entrepreneur Leanne Valenti will introduce a full service version of her catering and kiosk business. The menu will include bento boxes, natch, and sides like red bean jelly bars, miso soup, and honey butter cornbread. Move over breakfast tacos. 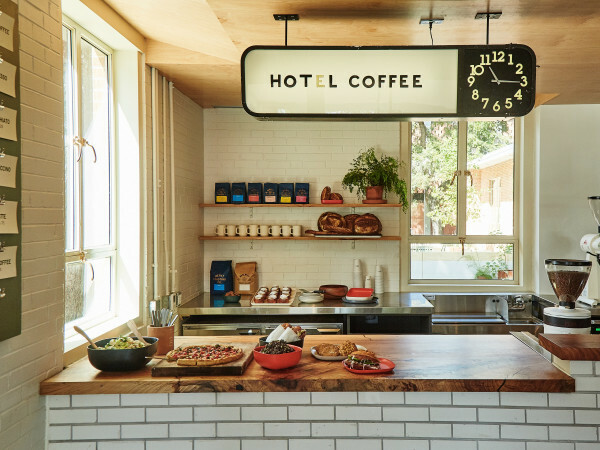 In May, Thunderbird Coffee’s Brian Batch and Ryan McElroy will be giving East Austinites a whole new reason to wake up. As the name implies, biscuit sandwiches will make up the bulk of the menu, stuffed with chicken sausage and egg; bacon, egg, and cheese; or fried chicken. There will also be biscuit doughnut holes covered in cinnamon and sugar because the owners are clearly benevolent. Sorry, Austin. Round Rock is scoring the first location of world famous Korean fried chicken chain Bonchon. Originally slated for a February opening, the restaurant now looks like it will be serving katsu, wings, potstickers, tacos, and fried rice by the end of April. 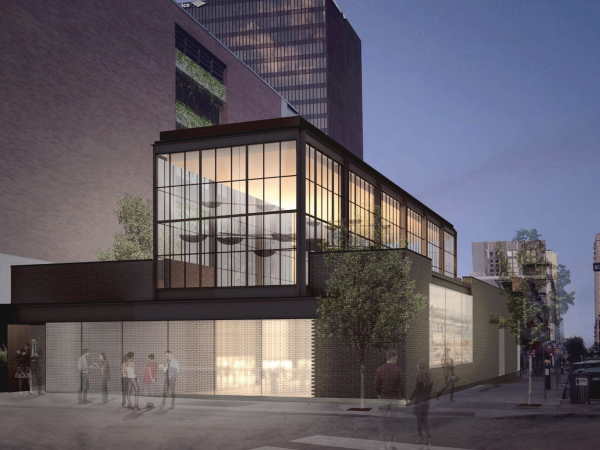 Owner Jake Maddux has drafted an all-star team for his ambitious project at 4715 E. Fifth St., including Tastemakers Rising Star Chef of the Year winner Zach Hunter as executive chef, Live Oak Brewing vet Drew Durish as head brewer, and Miche Bread’s Sandeep Gyawali as head baker. Expect plenty of crossovers between beer and food and a rollicking atmosphere by the end of April. Build your own grain bowl at this D.C.-based fast casual eatery, coming to Urban Outfitters’ Space 24 Twenty later this spring. A sort of Mediterranean Chipotle, the chain allows guests to customize salads and pitas with dips like tzatziki and harissa, proteins like lamb meatballs and falafel, and veggies. The Guadalupe Street shop will be the first of three Austin stores. Locations in Westlake and downtown are also in the works. Downtown’s showpiece Austin Central Library turns another page in May when ELM Restaurant Group’s novel (get it?) Cookbook concept is expected to open. The counter service eatery will feature a food menu based on recipes from the library’s vast collection and a bar menu complete with footnotes. Guests will also be able to order from a window near the library’s main entrance and enjoy coffee on the gorgeous rooftop. University of Texas graduate Dat Lam is bringing Japanese-style crepes to 6550 Comanche Trail near the Oasis. Grab crepes in cones filled with strawberries, coconut ice cream, bananas, edible crystals, and all the fixings of margherita pizza as well as drinks and light bites. The debut will happen later in spring, but you can preview the offerings April 14-15 at Blue Owl Brewery. The juice shop and grab-and-go counter from Parkside Projects will soon open a second location at 4200 N. Lamar Blvd., home of Uchiko, Tacodeli, Houndstooth Coffee, and Floyd’s Barber Shop. If you want to get technical about it, this all-day cafe from the team behind the much-missed Henri’s is already open, having launched soft opening service with limited hours on April 7 with full hours following soon. The restaurant features a family-friendly atmosphere including a patio and drive-thru, and a menu of sandwiches, pastas, and larger plates. It seems like decades since the popular South Congress pizza purveyor first announced it was building a new north location, but it looks like the wait will soon be over. Earlier this month, the restaurant posted Facebook teaser photos of the whimsical light fixtures being used in the space at 501 E. 53rd St. The owners are mum about the exact spring opening date for now, but did reveal to CultureMap in July 2017 that the new space will include an expanded menu (including Buffalo wings) and a full bar. The popular food truck is putting a fresh coat of paint on the former location of Zen at 3423 Guadalupe St. The fast casual shop, debuting later in spring, will offer a menu similar to its trailer with bibimbop, kimchi fried rice, bulgogi rice bowls, and mandoo dumplings. Ling Qi Wu, the force behind Wu Chow’s fabled Shanghai soup dumplings, has branched out on her own in the former location of Rounders Pizzeria at 1203 W. Sixth St. The menu posted on the website features dim sum classics like Chinese broccoli in oyster sauce, barbecue pork buns, turnip cakes, and sesame balls. Although the grand opening date has shifted a few times, the most current Instagram post says the Clarksville area should expect a new neighbor on May 9. And, yes, there will be soup dumplings — both pork and seafood. The reinvention of the downtown Radisson is set to debut in late spring, but if the long delays that afflicted the recently opened Fairmont Austin are any indication of how difficult it is to open a luxury hotel, no one should hold their breath. We hope the date is sooner than later so we can enjoy the property’s four hospitality projects: Arlo Grey from Top Chef winner Kristen Kash, P6 from former Counter 3. Five. VII chef Damien Brockway, Bridge & Trail from hotel executive chef Justin Ermini, and California-based coffee shop Alfred. 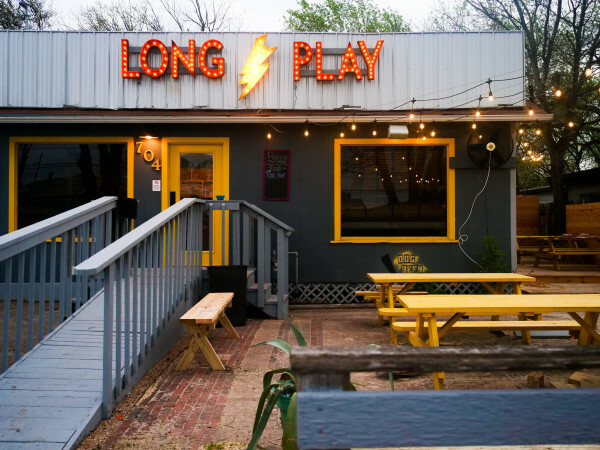 PDX comes to ATX for the first Texas location of Pacific Northwest chain Little Big Burger. The minimalist menu features brioche buns topped with local and sustainable ingredients, truffle fries, local beer, and floats made with Tillamook ice cream and Barq’s root beer. The last word on the opening date was early 2018. Domain Northside American-Chinese sandwich shop General Tso’Boy was gone too soon, but owners Jessica Wu and Gary Wu have teamed up with River & Hills Hospitality Group to open an Austin location of Miami restaurant Lotus + Cleaver in the same space in April. Although the Austin offerings have not been revealed, expect a menu similar to the original, which serves Chinese barbecue, peking duck, and stir-fry dishes. The graceful former location of East End Wines is being transformed into a charming new restaurant with plenty of outdoor space. Jesse DeLeon, the chef behind pop-up dinner series Victoria Provisions and a former sous chef at Geraldine’s, will bring a locally sourced menu inspired by South Texas and the Gulf Coast. 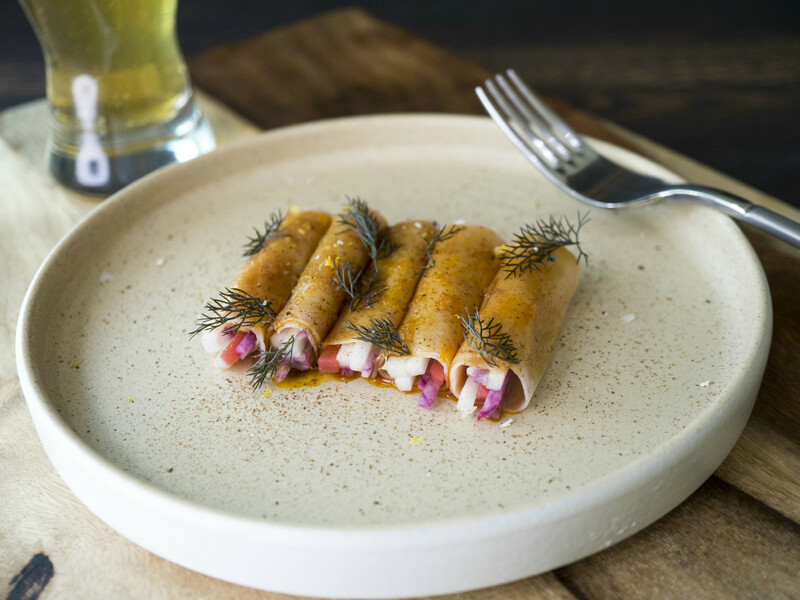 Barley Swine and Odd Duck owner Bryce Gilmore becomes the latest upscale chef looking to keep it casual with his latest concept, which is scheduled to debut by the end of April. The restaurant, in the former digs of Joe’s Spot on 1814 E. Marlin Luther King Jr. Blvd., will have a full bar and a bakery, the later which was previewed at pop-ups featuring out-of-the-box kolaches, cookies, breakfast sandwiches, and the so-Austin-it-hurts beer koozie croissant. Stiles Switch owner Shanes Stiles has teamed up with Lenoir chef Todd Duplechan for a new concept opening in the Belterra Village development at Nutty Brown Road and West Highway 290 in Dripping Springs. The restaurant will bring a Cajun-inspired menu and plenty of smoke from pitmasters Bill Dumas and Christopher McGhee. The appropriately named capsule restaurant will take over the north side patio of South Austin’s Vinaigrette sometime in the spring. Like its big sister restaurant, health will be a focus for both breakfast and lunch. The beverage program will include frozen margaritas in creative flavors like rosewater beet, chlorophyll ginger, and carrot sumac; adaptogen rich juices; and coffee drinks like espresso with beet cocoa or sweet potato chai with almond-fig milk. Barfly’s co-owner Marcos Canchola and employees Albert Varela and Lucas Navarro have nabbed the former location of House Pizzeria for a new concept that isn’t that far off from the original. A Craiglist job listing claims it will be opening in the second week of April, so it should be any day now. Look for Neapolitan pies, beer and wine, and a jukebox stocked with 45s.